All drugs even the familiar ones such as aspirin may have potentially harmful as well as beneficial effects. Whether you are prescribed drug treatment or you choose remedies for yourself, you will gain most benefit from drugs if you understand how they are likely to act and how to use them safely and effectively. Today there is a vast range of drugs available for many purpose. Some drugs can be bought over the computer at pharmacies or other require a doctor’s prescription and a few drugs are available only in hospitals. In order to make the best use of drugs treatments and avoid any possible adverse effects you must follow the instructions given by your doctor or pharmacist or those supplied by the manufacture. A drug may have several types of effect on your body as well as the intended action . Interaction may also occur, in which drugs that are taken together enhance or reduce each other’s actions. 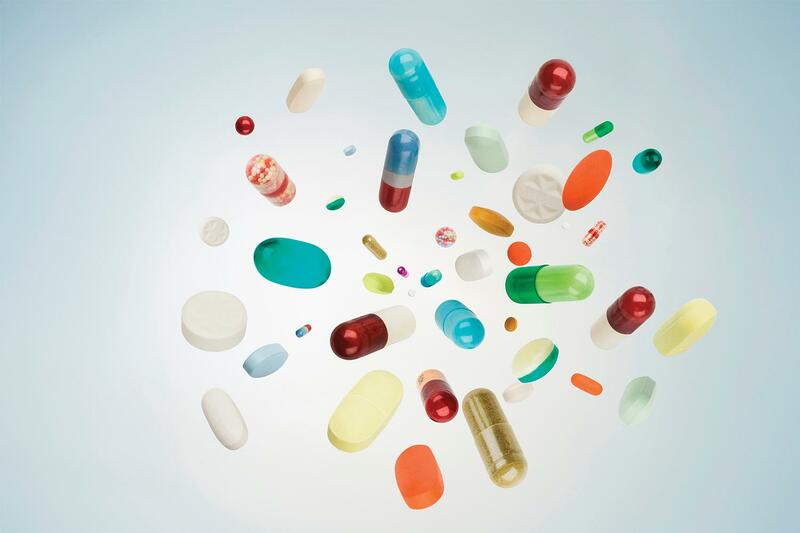 Many drugs can have a powerful psychological benefit called the placebo effect. A number of drugs have unwanted effect which can be unpleasant or harmful and your doctor’s will plan drug treatment to avoid or minimize these effects. A drug’s effect can vary from individual to another. Drugs tend to have particularly strong effect on certain people such as children and the elderly. Almost all systemic drugs (drugs that affect the whole body) can cause side effects, undesired reactions resulting from a normal dose. Side effect occur because drugs act on cells throughout the body not just in the area to be treated. For example beta -blockers drugs may be used in the treatment of hypertension. However they may disrupt sleeping patterns as a side effect of their intended action. Some side effects such as the dry mouth caused by some antihistamines are predictable because they result from the known chemical effects of a drug. However drug may also produce unpredictable reactions such as drugs allergy. Any type of drugs including penicillin can cause allergy reactions that can range in severity from a mild rash to serve breathing problems. Most side effects are not serious, and they often disappear gradually as your body becomes used to a drug. However for some drugs used to treat serious disorders the side effects are server and potentially fatal. For instance, certain cytotoxic drugs used to treat cancer, are toxic to the heart and can cause it to fail. A medical decisions to use a drug depends on whether the overall benefit out-weights the risk of harmful effects. If you take certain drugs for a long time your body adapts to them in a process known as tolerance. With some drugs, tolerance may be useful, allowing the body to overcome side effects while still responding to the beneficial effect on the drugs. For example many people taking antidepressants, find that side effects such as a dry mouth disappear while the benefits remain. However tolerance many make some drugs less effective so that a higher does is needed to obtain the same results. The higher dose may increase side effects. Dependence is a need for a drug. The need can be psychological leading you to think you cannot functions normally without a certain drug. It can also be physical. For example long term use of laxatives can make your body depend on them for bowel movements. If you become dependent on certain drugs such as benzodiazepines (anti-anxiety) your body may developed tolerance to them. 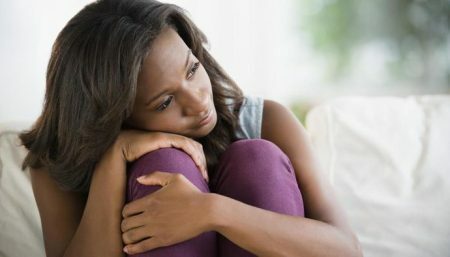 If you stop taking them, you may suffer unpleasant effect known as withdrawal symptoms, which are sometimes dangerous. It is also possible to become dependent on drugs that are not medicines such as alcohol or nicotine. Thrombolytic drugs are used to dissolve unwanted blood clots, known as thrombi. A blood clot consists of blood cells and platelets that are held together by a mesh of fibrin strands. Thrombolytics dissolve the fibrin strands, thereby breaking up the blood clot. 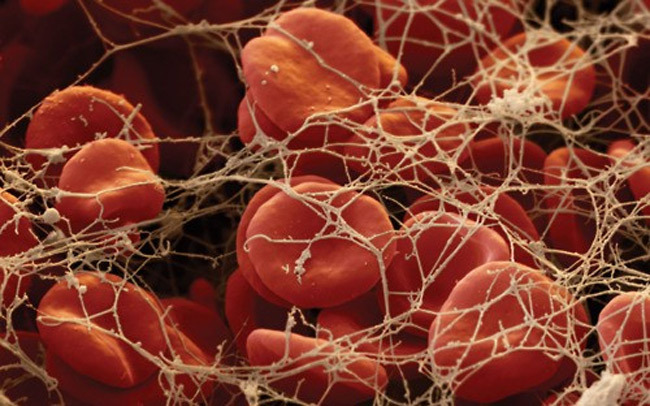 A clot, made up of red and white blood cells and platelets bound together by strands of fibrin, has formed in a blood vessel, restricting blood flow. The thrombolytic drug dissolves the fibrin strand that bind the blood clot together. The clot is broken down and normal blood flow resumes. The effects of a drugs may differ from one person to another. This variation occursbecause people’s bodies, absorb and excrete drugs at different rates. In addition, the same dose of a drug may reach different concentrations in the blood depending on factors such as body size and kidney function. Groups at higher risk of adverse effects include fetus, babies (particularly breast fed babies, whose mothers are taking drugs) children, people who have liver or kidney disease and elderly people. 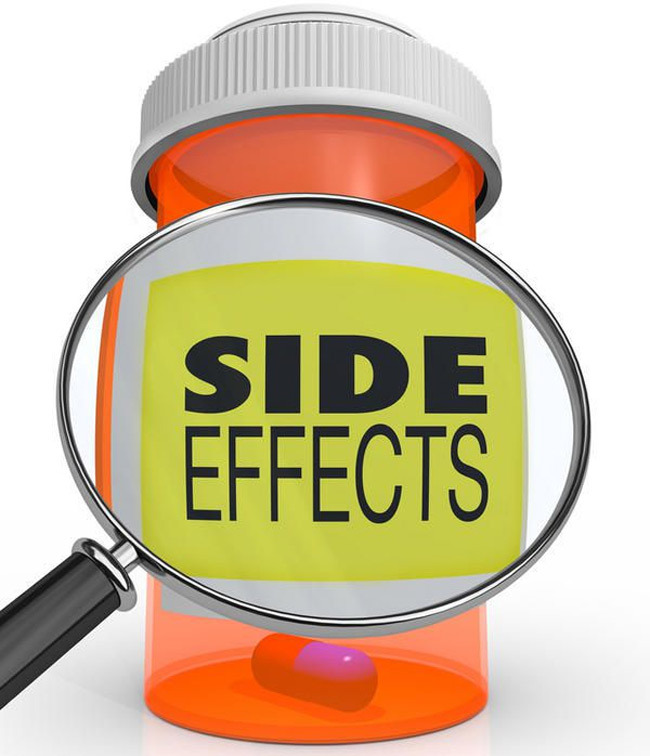 Older people are at increased risk of side effects. This risk may be due to the decline in the functions of organs such as the liver and kidneys as the body ages, which cause toxins to accumulate faster in the body. 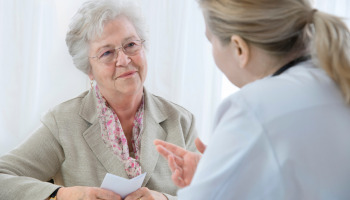 Older people may need to take several drugs together to treat a number of disorders and therefore may also be at increased risk of drugs interactions. It is important that you understand what drugs you are taking and how they are likely to affect you. Drugs must be stored safely and should be disposed of when they have expired or are no longer useful. Before taking any medication, make sure that you understand when and how to take it. Read the instructions carefully and discuss anything that you do not understand with your doctor or pharmacist. Find out, whether the drugs is likely to affect everyday tasks, such as, driving, whether you should take the drugs with food, or on an empty stomach and what you should do if you miss or exceed a dose. 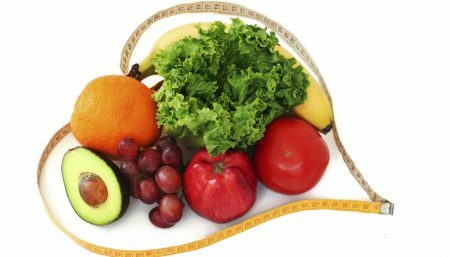 If you need drug treatment that continues for a long time, such as medications to treat high blood pressure or diabetes mellitus, you may be given a prescription that can be renewed so that you do not have to see your doctor each time. However you will still need to see the doctor regularly so that he or she can monitor your condition and your response to treatment. 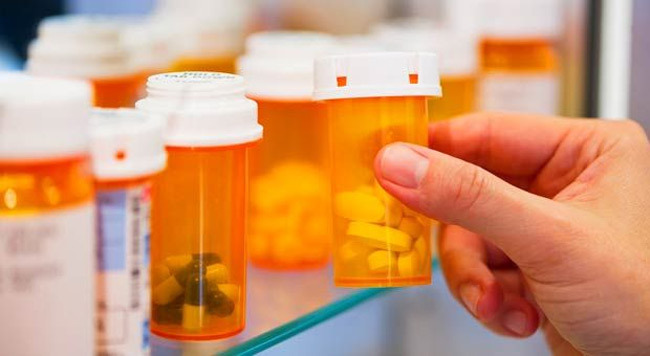 Never stop taking your medications suddenly without consulting your doctor first. For some drugs it is necessary to reduce the dose gradually, so that your conditions dose not suddenly become worse. Gradual reduction of the dose of a drug also helps to prevent your from developing withdrawal symptoms. If you are taking long term medications always talk to your pharmacist before using any additional drugs. If you need hospital treatment tell the hospital staff which drug, you are taking including OTC drugs or complementary remedies. Do not take your own medications, while you are in hospital unless the staff specially say that it is all right for you to do so. Some drugs such as anticoagulants can cause severe problems during surgery or emergency treatment, or if they are taken with other drugs. If you are on long term medication, with particularly drugs such as corticosteroids, you should obtain a card bracelet or pendant that gives details of your medications. You should always carry this information with you so that it will be available to any medical staff who may need to treat you in an emergency.